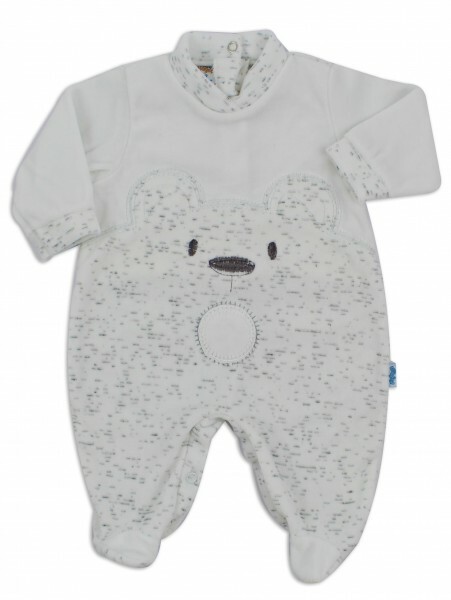 Baby footie in extra soft chenille to the touch. Material 80% cotton 20% polyamide. Color White. The front of the baby footie forms the face of an ORSE, the bib and the sleeves have the melange effect. Sizes 3-6 months. Openings with little buttons with pressure to facilitate the change. 100% produced in Italy; this guarantees the quality of the article.